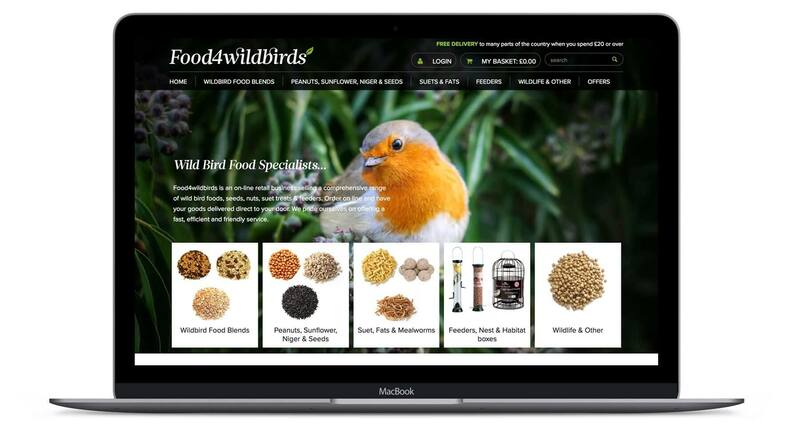 We were approached by Food4Wildbirds to re-design and re-launch their successful online shop which supplies Wildbird food and other pet food. The challenge was to re-design the site to make it more usable whilst not too different as to scare off existing customers. As a busy ecommerce shop we recommended building the site using Woocommerce, as it is a powerful and flexible ecommerce system which is also easy to use. Woocommerce is easy to get familiar with and makes managing an online shop simple. We also integrated the website with their back-office systems so the orders are automatically processed, ensuring less admin for the Food4Wildbirds team. One of the most important aspects of the website design was to ensure it was fully mobile responsive. With Google’s impending algorithm change the website needed to work well on mobile and ensure it didn’t suffer in the search rankings. We employed a ‘mobile-first’ approach to provide the best mobile browsing experience. 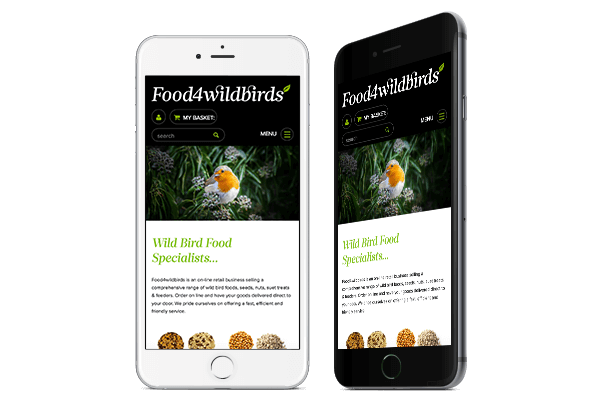 As Food4wildbirds had been trading for over 8 years, the process of migrating to a new ecommerce system needed to managed carefully to ensure a smooth cross-over without disruption and loss of data. The old site was built using ZenCart and we wrote a custom migration script to transfer all customer accounts and orders.